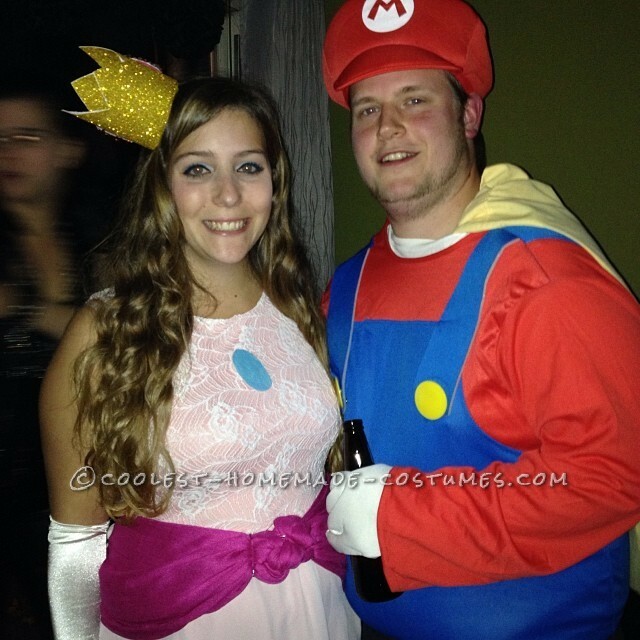 For the past 3 years I’ve been trying to be Princess Peach for Halloween and this year I finally have blonde in my hair (that you cant really see in the picture that well and I’m dying it again before next weekend ) so it was able to work! I thought it would be really easy to do but turns out its hard to find a pink dress in the fall. Could be easy but I didn’t find the exact peach colors. 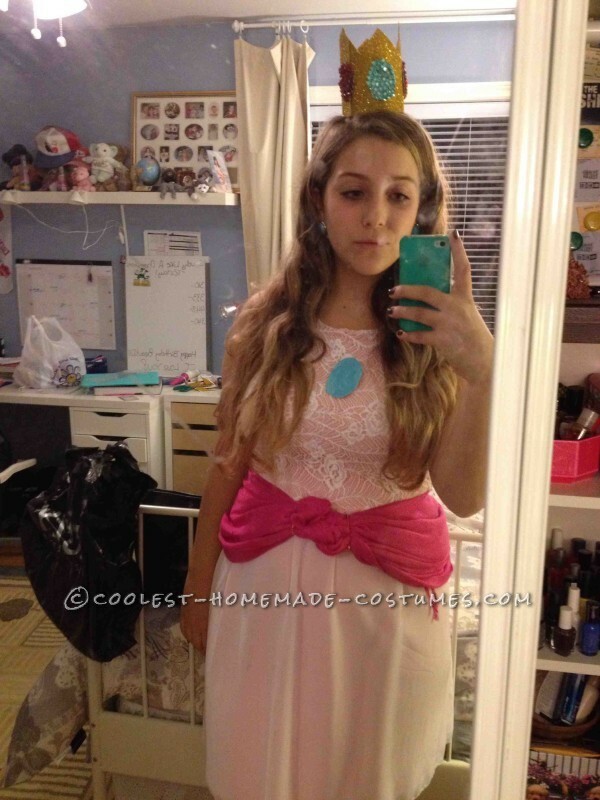 Finally I found a light pink dress (it had some lace on top but I couldn’t find any other with that exact same pink that Peach has) so I was able to start shopping for the accessories. 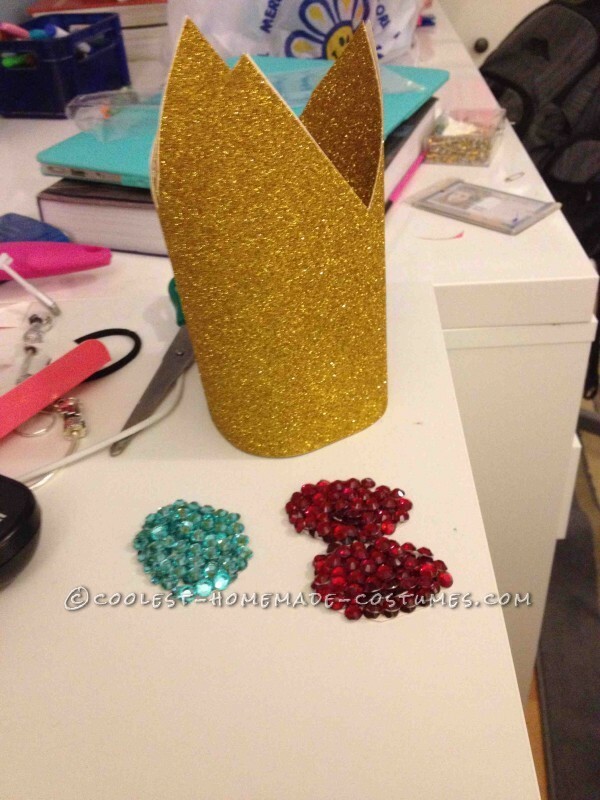 For the crown, I bought some thick gold craft paper from the dollar store and some red and blue jewel stickers for the jewels she has on her crown (since I couldn’t find any premade jewels). I then cut the crown into shape and glued it shut. I cut out some ovals out of cardboard and stuck a bunch of the stickers on to make it look like on big jewel (kind of). There are two red ones on the side and one blue in the front but you can also put a blue on the back. 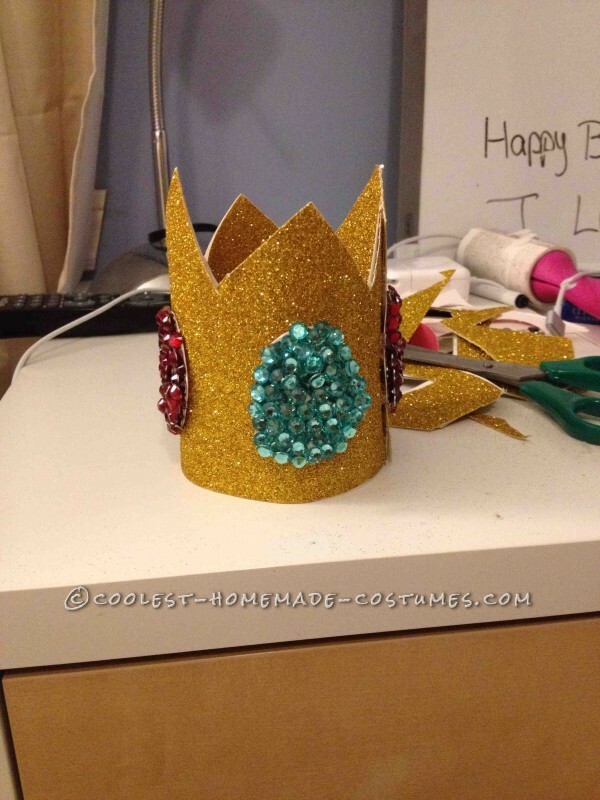 I then hot glued with a glue gun the cardboard onto the crown. I had it glued to a hair clip but it kept falling which is why you can see its falling and on backwards in one of the pictures. For next weekend I’m going to be gluing it to a headband I just couldn’t find one before the day. 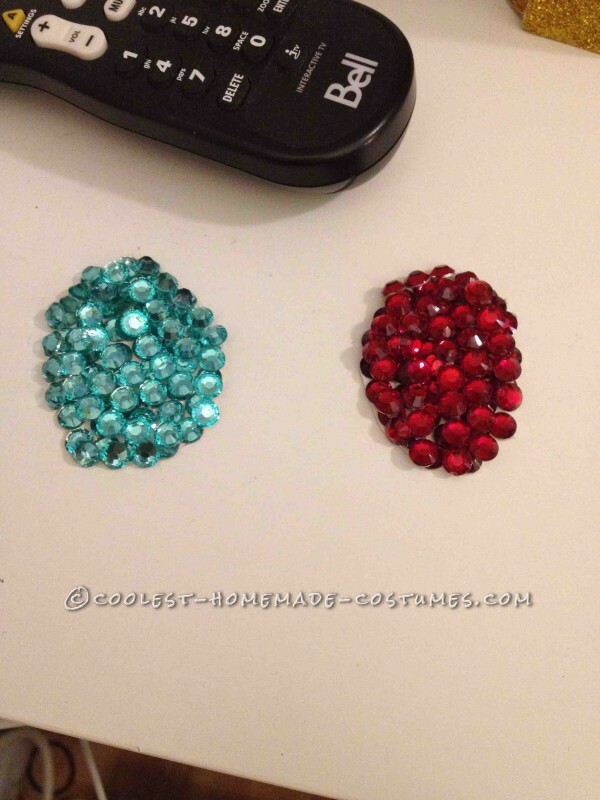 For the earnings, I bought some big fake pearl studs and used nail polish to paint them blue. For the broach on her dress, I cut an oval out of cardboard and painted that blue with the nail polish also and glued a safety pin to the back so it could stick to the dress. For the darker pink part of the skirt I bought a pink scarf in the exact color of Peach”s dress and put a small safety pin in the middle of it and let the rest hang loose on the sides and tied the other part in the front. That part didn’t turn out as well as it could have but I didn’t have time to sew it onto the dress. Lastly for the gloves I just bought a pair of long white gloves from a thrift shop but you can get them anywhere they have Halloween costumes and probably at the Dollar store or Claires/Ardene. For shoes I just wore a pair of beige heels since I didn’t want to spend a lot of money. The total amount I spent was max $40 for everything.